With a stay at Bab Al Qasr Hotel, you'll be centrally located in Abu Dhabi, within a 5-minute drive of Marina Mall and Observation Deck at 300. 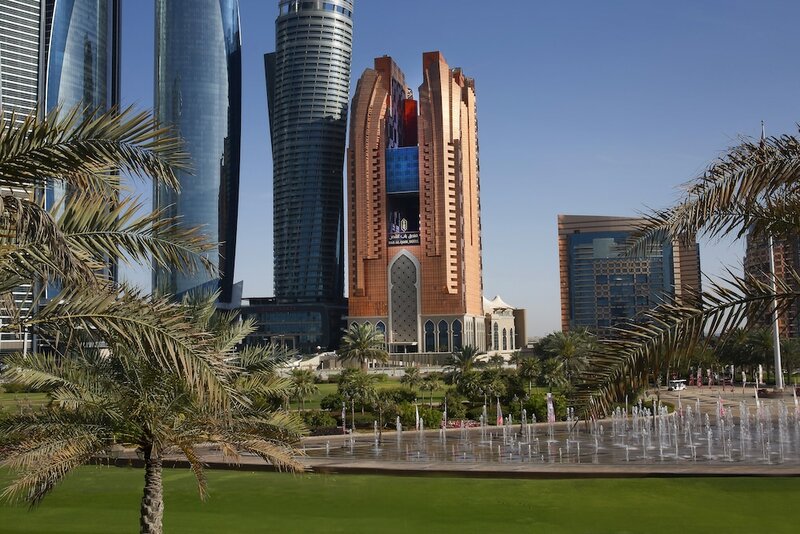 This 5-star hotel is 4.7 mi (7.6 km) from Al Wahda Mall and 4.8 mi (7.7 km) from The Corniche. Make yourself at home in one of the 677 air-conditioned rooms featuring minibars and LED televisions. Complimentary wireless Internet access keeps you connected, and satellite programming is available for your entertainment. Private bathrooms with separate bathtubs and showers feature deep soaking bathtubs and rainfall showerheads. Conveniences include phones, as well as safes and desks. Treat yourself with massages, body treatments, and facials. After a day at the private beach, you can enjoy other recreational amenities including an outdoor pool and a spa tub. This hotel also features complimentary wireless Internet access, concierge services, and a hair salon. Grab a bite to eat at one of the hotel's 4 restaurants, or stay in and take advantage of the 24-hour room service. Snacks are also available at the 2 coffee shops/cafés. Relax with a refreshing drink from the poolside bar or one of the 2 bars/lounges. Buffet breakfasts are available daily from 6:30 AM to 10:30 AM for a fee.